Synthetic Turf International would like this time to inform our dealers and customers about the ASLA 2016. It was founded in 1899, the American Society of Landscape Architects (ASLA), a 501(c)(6) organization, is the national professional association for landscape architects, representing more than 15,000 members in 49 professional chapters and 72 student chapters. Members of the Society use the “ASLA” suffix after their names to denote membership and their commitment to the highest ethical standards of the profession. The ASLA expo allows attendees to explore hundreds of new products, services, technology applications, and design solutions—all under one roof! With nearly 450 exhibitors, the ASLA EXPO is the largest trade show in the industry and the best-attended event of the annual meeting. This year’s expo was located in New Orleans, Louisiana at the New Orleans Ernest N. Morial Convention Center. The events held in New Orleans simply are not the same as events held in any other cities. Smiles are brighter, and people are happier. Everyone there is thrilled to be in one of the world’s most storied and culturally rich destinations. The streets are filled traditional, old-time jazz music that refreshes the soul, the cuisine is unsurpassed, and the city’s charm captivates all who visit the city. While there, attendees could easily tour the city. The world-famous attractions of the French Quarter are mere steps away from the convention center, while the historic St. Charles streetcar line runs past the sophisticated homes of the Garden District. 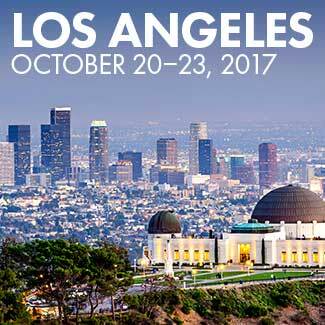 The excitement of New Orleans transforms a boring business trip into an amazing experience in one the best cities in the U.S.
Start preparing for next year’s expo in Los Angeles now!